Entry fee of $20 per dog, beginners welcome. Download 3 scent entry form (MS Word) or 3 scent entry form (PDF). 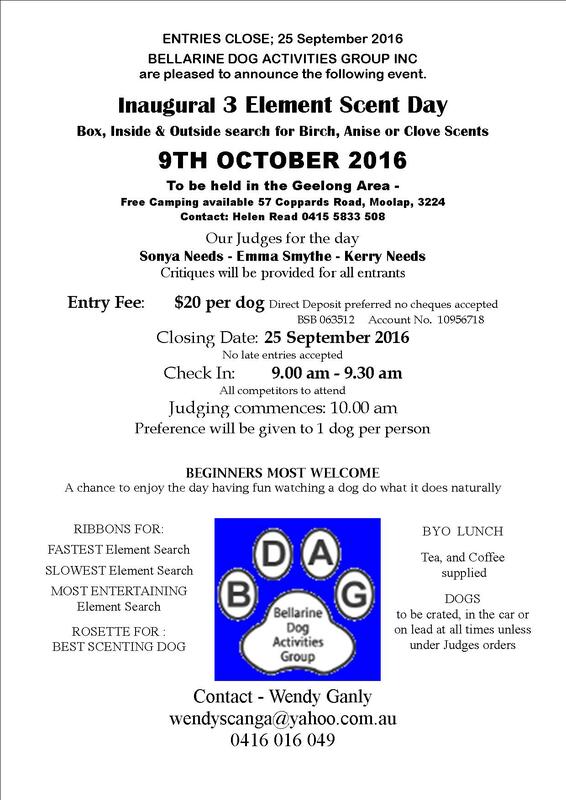 Posted in Local news, Scent on August 21, 2016 by Bellarine Dog Activities Group (BDAG).